In this era of big data, today’s organizations have incredible amounts of information to be managed, and in many cases it is quickly spiraling out of control. To address the emerging issues around managing, governing, and utilizing data, organizations have been acquiring quite a toolbox of data integration tools and technologies over the past five to ten years. One of these core technologies is the data integration toolbox, which has been a key tool for data until now. 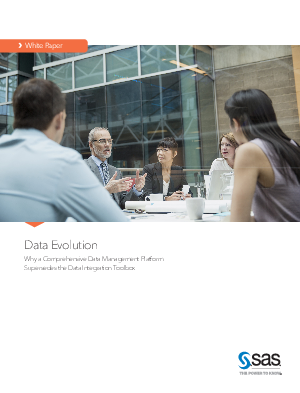 Download this whitepaper to learn how data is evolving and the 7 reasons why a comprehensive data management platform supersedes the data integration toolbox that you have become accustomed too.